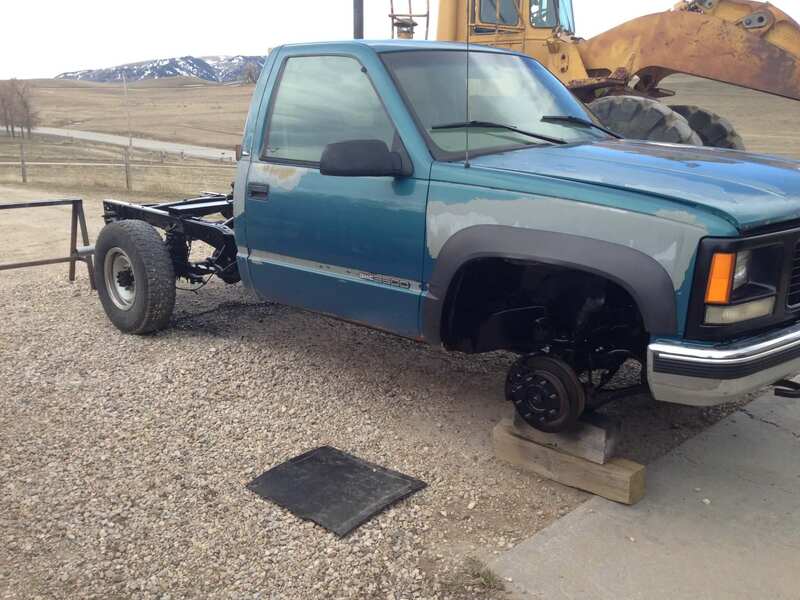 1998 GMC K3500 – Walker S.
To be honest this pick up was a mistake, it never should have turned into anything. 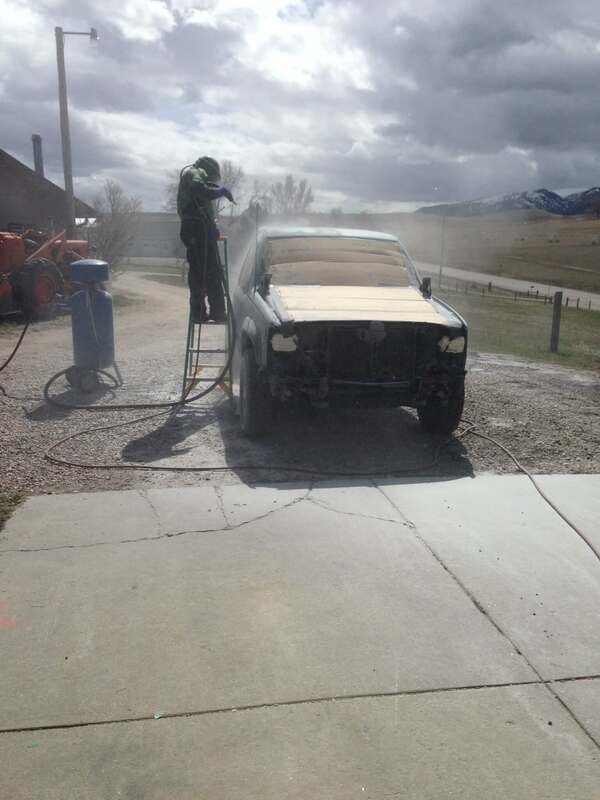 After 230,000 miles of hard ranch life in Wyoming, it was looking and feeling pretty tough. This pickup was my uncle’s and I had seen it do things that would make a diesel grunt. My dad wound up with this pickup when the manifold started spewing and my uncle decided it wasn’t worth the time to fix it. 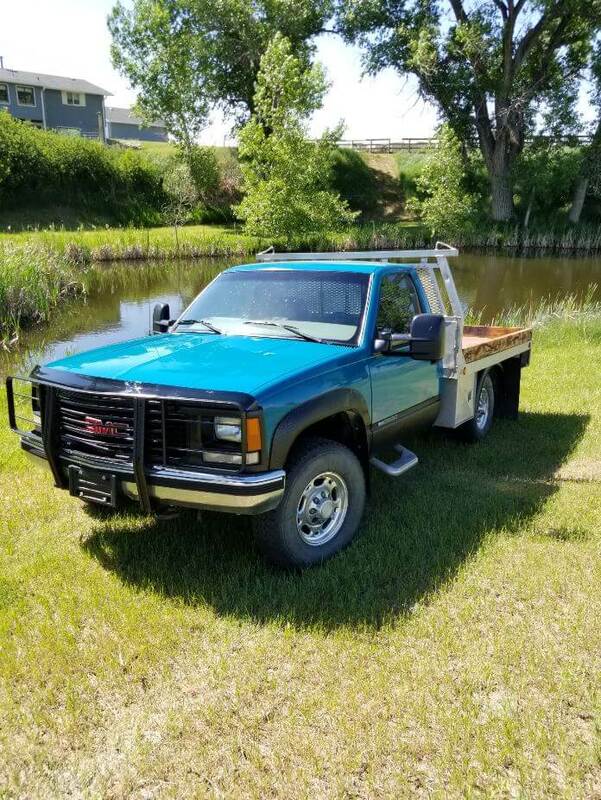 This pickup made a mobile work bench at our gravel pit for a few years until I started dreaming of sweet sixteen at fourteen. Some people are good with their minds or their hands but, dad has been raised up to be good with both. The main vision for this pickup was to teach a young punk kid what it meant to have a nice truck while using a hunk of what most people would call scrap iron. We tackled the spewing manifold first to get the motor running right and see if the pickup was worth its oats. The motor checked out and with a few hoses, wires and plugs we had her running like a top. Ranch life is hard on the interior more than anything and this is where LMC came into the story. Almost every part of the door from the hinges to the rubber was broke out into pieces. We ordered rubber kits and hinges so the doors would keep hanging on the pickup. The other thing that ranch life is hard on is the box. We determined early in the project that a flatbed was the way to go. 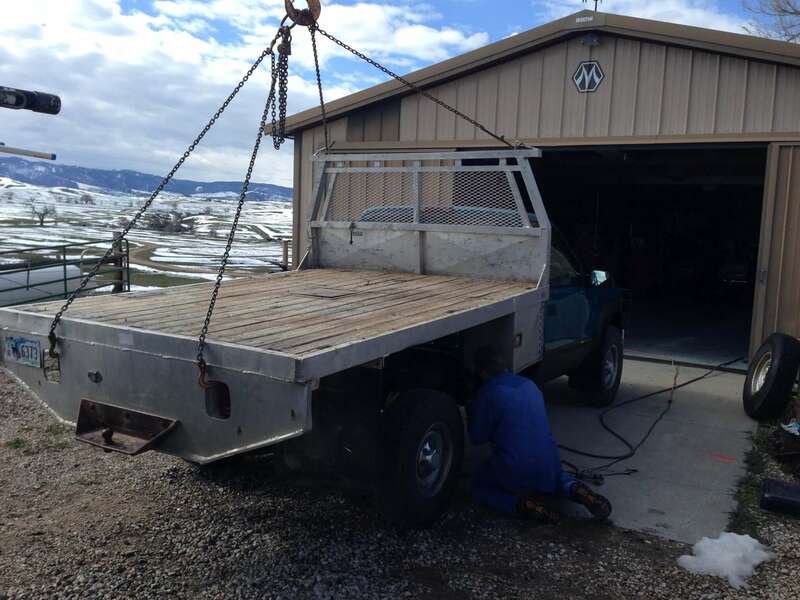 We found this aluminum built flatbed out in the boonies that had been made by a friend of ours thirty years ago. The wood in this flatbed was shot so we had to custom order new tongue and groove to replace it.